Chip upstart Tilera in the news – Carpet Bomberz Inc.
What would you do if you had a cloud computing environment sitting in a 2 Unit rack sized box? Well we’ll never know unless YOU TRY IT! Tilera is signing up all kinds of manufacturers to try out test samples of it’s unique cpu in products that range from Quanta’s S2Q to security gateways for networks. There’s a lot of applications potentially, but so far not nearly enough shipping product. So what’s going on anyways? As of early 2010, Tilera had over 50 design wins for the use of its SoCs in future networking and security appliances, which was followed up by two server wins with Quanta and SGI. The company has had a dozen more design wins since then and now claims to have over 150 customers who have bought prototypes for testing or chips to put into products. via Chip upstart Tilera lines up $45m in funding • The Register. There’s not been a lot of news about Tilera most recently, but they are still selling products, raising funds through private investments. Their product road map is showing great promise as well. I want to see more of their shipping product get tested in the online technology website arena. I don’t care if Infoworld, Network World, Tom’s Hardware or Anandtech does it. Whether it’s security devices or actual multi-core servers it would be cool to see Tilera compared even if it was an apples and oranges type of test. On paper it appears the mesh network of Tilera’s multi-core cpus is designed to set it apart from any other product currently available on the market. 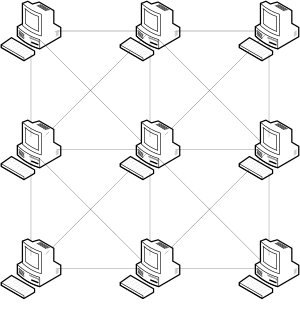 Similarly the ease of accessing the cores through the mesh network is meant to make the use of a single system image much easier as it is distributed across all the cores almost invisibly. In a word Tilera and its next closest competitor SeaMicro are cloud computing in a single solitary box. Cloud computing for those who don’t know is an attempt to create a utility like the water system or electrical system in the town where you live. The utility has excess capacity, and what it doesn’t use it sells off to connected utility systems. So you always will have enough power to cover your immediate needs with a little in reserve for emergencies. On the days where people don’t use as much electricity you cut back on production a little or sell off the excess to someone who needs it. Now imagine that electricity is computer cycles doing additions, subtractions or longer form mathematical analysis all in parallel and scaling out to extra computer cores as needed depending on the workload. Amazon has a service they sell like this already, Microsoft too. You sign up to use their ‘compute cloud’ and load your applications, your data and just start crunching away while the meter runs. You get billed based on how much of the computing resource you used. Nowadays, unfortunately, in data centers you got single purpose servers doing one thing, sitting idle most of the time. This has been a going concern so much so that a whole industry has cropped up of splitting those machines into thinner slices with software like VMWare. Those little slivers of a real computer then take up all the idle time of that once single purpose machine and occupy a lot more of its resources. But you still have that full-sized, hog of an old desktop tower now sitting in a 19 inch rack, generating heat and sucking up too much power. Now it’s time to scale down the computer again and that’s where Tilera comes in with it’s multi-core, low power, mesh-networked cpus. And investment partners are rolling in as a result of the promise for this new approach! Numerous potential customers, venture capital outfits, and even fabrication partners are jumping in to provide a round of funding that wasn’t even really being solicited by the company. Tilera just had people falling all over themselves writing checks to get a piece of the pie before things take off. It’s a good sign in these stagnant times for startup companies. And hopefully this will buy more time for the roadmap to future cpus from the company hopefully scaling up to the 200 core cpu that would be peak achievement in this quest for high performance, low-power computing.